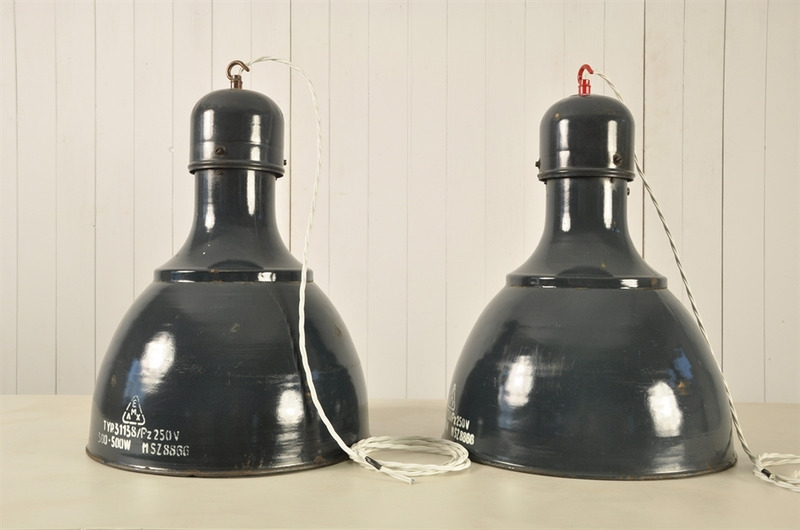 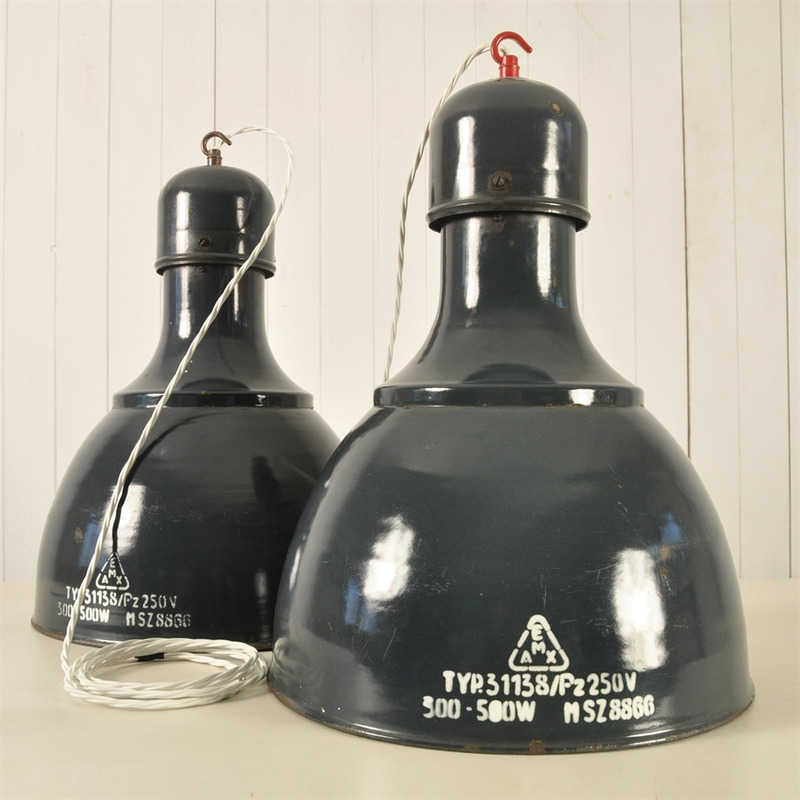 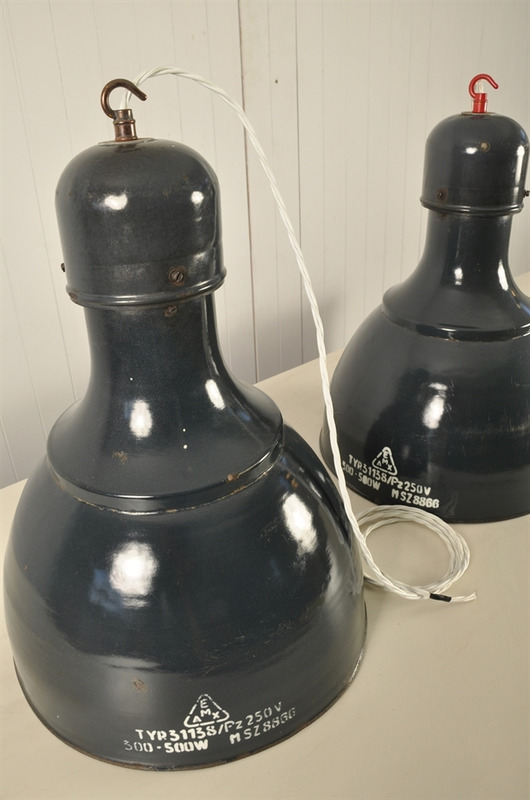 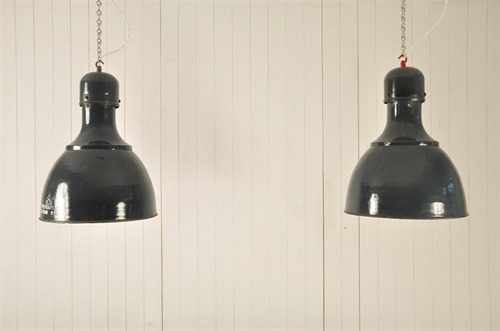 Dark Blue Industrial Pendants - Original House – Decorative Antiques, Vintage Industrial Furniture and Lighting, Cotswolds. 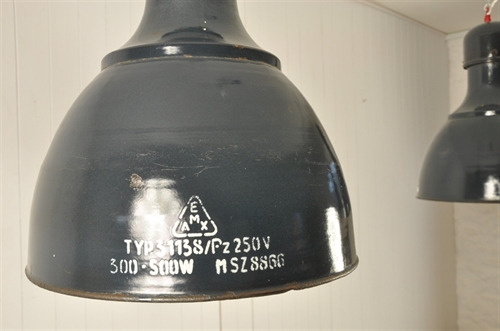 These rare enamel lights were produced in Hungary by Szarvas in the 1950's. 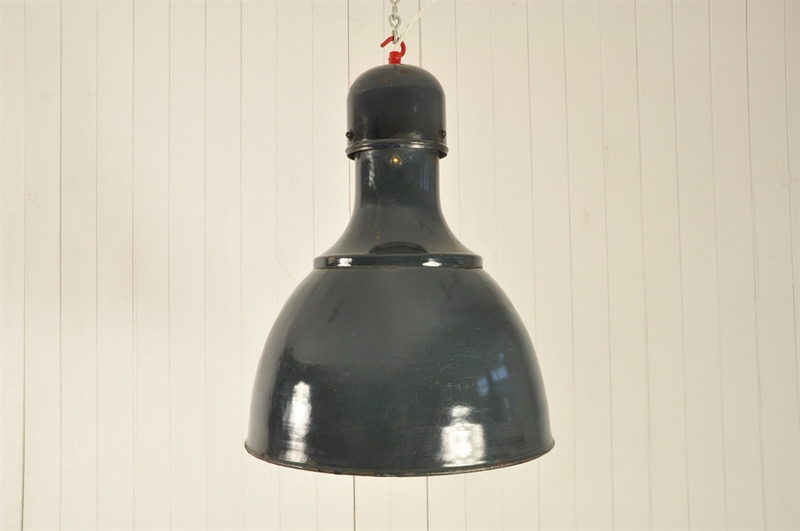 We love the unusual colour and shape of these. 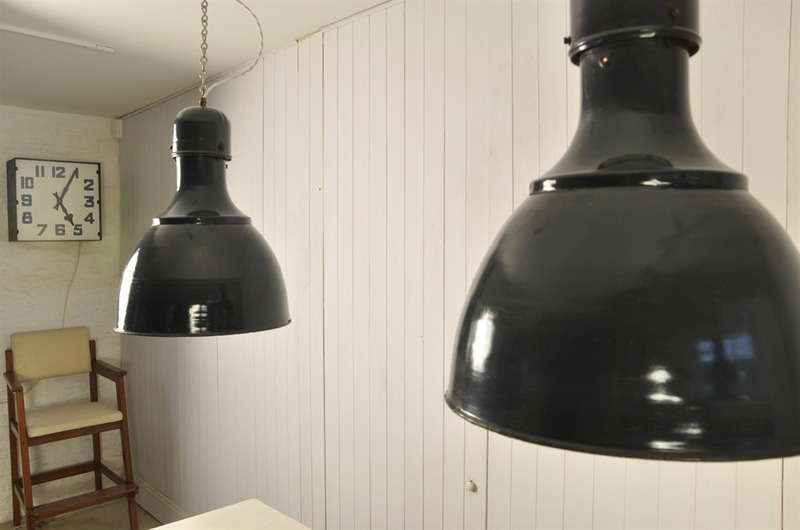 We have replaced the old fittings with new brass B22 bulb holders and these are supplied with chrome and ceiling hooks as well as triple twisted braided flex - different colours available. We have played around with the hanging hook at the top of the lights, as we like the idea of adding a contemporary twist with a red hook - contrasting really well with the dark blue almost black of the enamel. A more traditional aged brass is also available. 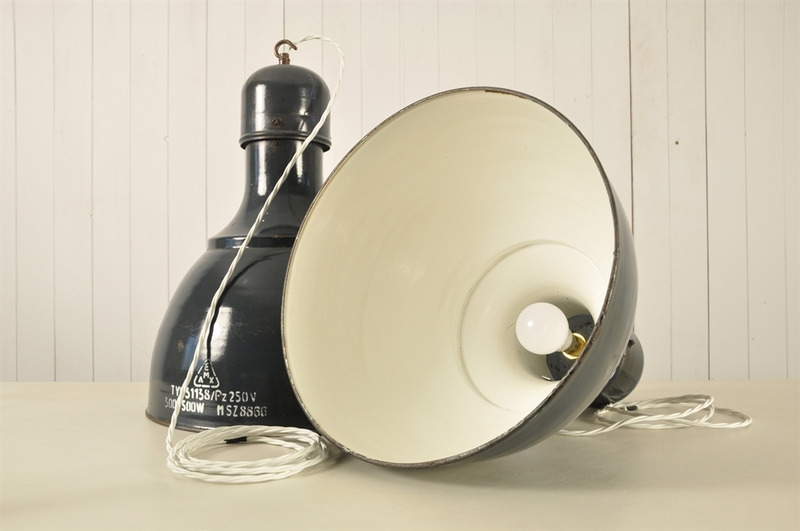 In good vintage condition with a few bumps, chips and scrapes to the enamel, inside and out. 52 cm h x 35.5 across. 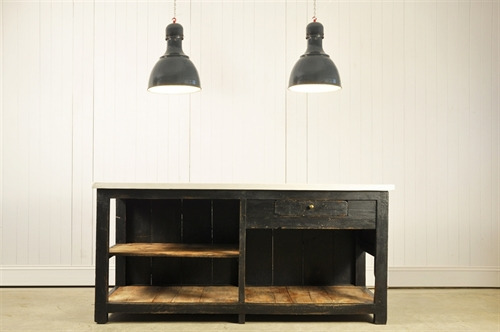 Only 1 now available, priced and sold individually.